Don’t know if my mission is to “convince you.” But if you’ve been diagnosed with “soft” bipolar disorder, meds very likely will be recommended. That being the case, let’s just say I’ll provide – well – some reference material. I began a series on the treatment of something known as “soft” bipolar disorder on Monday. The entire series, by the way, is based on the work of psychiatrist Dr. Jim Phelps. Please be sure to visit his website at psycheducation.org. Well worth your time! 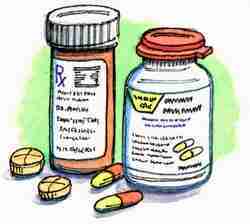 Maximize Non-Medication Approaches, Medication, and Antidepressants: Caution!!! So what say we get after the medication piece today. Oh, here’s a link to Monday’s article. In order to truly understand “soft” bipolar disorder, ya’ gotta’ check it out. As I did in part-one of the series, I want to emphasize that selecting a med(s) for any degree of bipolarity is a process of balancing benefits with side effects and risks. Certainly you’ll need your psychiatrist’s input (after all, who’s gonna’ cut the scrip?). However, it’s really important that you conduct your own research. Never forget, using medication is your decision (your head and body, right?). According to Dr. Phelps, the best beginning for a meds journey is based upon your starting point. If depression is your most troubling symptom (which is typical for “soft” bipolar), the mood-stabilizer of choice needs to pack an antidepressant punch. In order (generic name first)..
Now, we need to chat side-effects and risks. The potential for weight gain and diabetes is a significant factor here – olanzapine (Zyprexa) being the worst offender. For women of child-bearing age – there’s just no way these meds are going to be an option. So it’s generally recommended that you take precautions against becoming pregnant if you’re using any of them. If you embark upon a mood-stabilizing meds journey, you really need to keep track of your symptoms and chart the data. It’ll make future meds decisions so much easier for you and your psychiatrist. And What About That Antidepressant? For sure! Read the “Antidepressants: Caution!” section of Monday’s article. Now that we have that handled…Phelps’ first take on antidepressants is if you’re doing well on them, you may want to continue. He points-out, however, that most who are newly diagnosed with bipolar disorder will likely be prescribed a mood-stabilizer. Ultimately (and likely? ), if you continue with an antidepressant and your mood-cycling continues, it’s time to chat with your doc about tapering off the antidepressant. 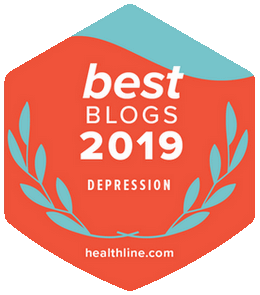 Though I touched upon it in Monday’s article, let’s discuss in a bit more depth why antidepressants and any measure of bipolarity aren’t the best of friends. See, an antidepressant may well have great impact upon bipolarity’s depressive piece. Problem is antidepressants induce degrees of mania. And spotting mania within the context of “soft” bipolar disorder is difficult. 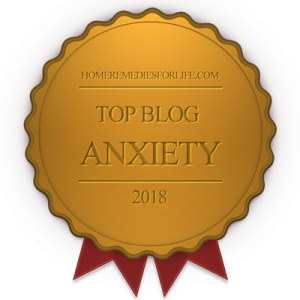 It often manifests as sleep issues, anxiety/agitation, difficulty concentrating, and irritability – not symptoms traditionally associated with mania. When antidepressant use continues, mood-cycling often becomes more frequent – in the face of improved depression. But before long, a major depressive episode will present in many; in spite of using an antidepressant. Even one that’s always worked in the past. Yep, it’s at this point that a mood-stabilizing med is often recommended, as it can actually work as an antidepressant by stopping the cycling. Of course, the antidepressant is phased-out after one’s mood is stabilized. Caution! Whatever you do, do not suddenly stop taking your antidepressant! Talking with your psychiatrist is a good thing. Is Your Primary Care Physician Equal to the Task? Your primary care physician may well believe she/he can manage meds within the context of “soft” bipolar disorder. Hey, perhaps they can. However, it’s best to not only work with a psychiatrist – but one who understands the disorder. Phelps is quick to point-out that factors such as distance may make connecting with a psychiatrist difficult, if not impossible. If that’s the case, you and your PCP are going to have to wing-it. That said, you have Phelps’ website, and other material, as a resource. Okay, that’ll do it for our “soft” bipolar disorder meds overview. One more article in the series, though. We need to wrap things up by swirling around non-medication options. Be sure to keep checking back in! Hey! For a listing of all chipur articles on meds, supplements, and devices click right here. Next Post: Psychotherapy for Bipolar Disorder? Yeah, for Real!